Seller will consider any reasonable offer. Location, Location, Location! 3 bedrooms with 2.5 baths located in a desirable location. Spacious living room with new paint, Formal dining room with wainscoting and new paint, Kitchen with new microwave, and white appliances, and space for a bistro table for morning coffee. Master bedroom is a nice size, large master double closet plus a bonus single closet, separate sink area, tub and tile shower combo. Two more bedrooms and a full bath with separate sink area are also located on upper level. Linen closet, coat closet, pantry, and private rear patio with outside storage. Community pool and assigned parking space. 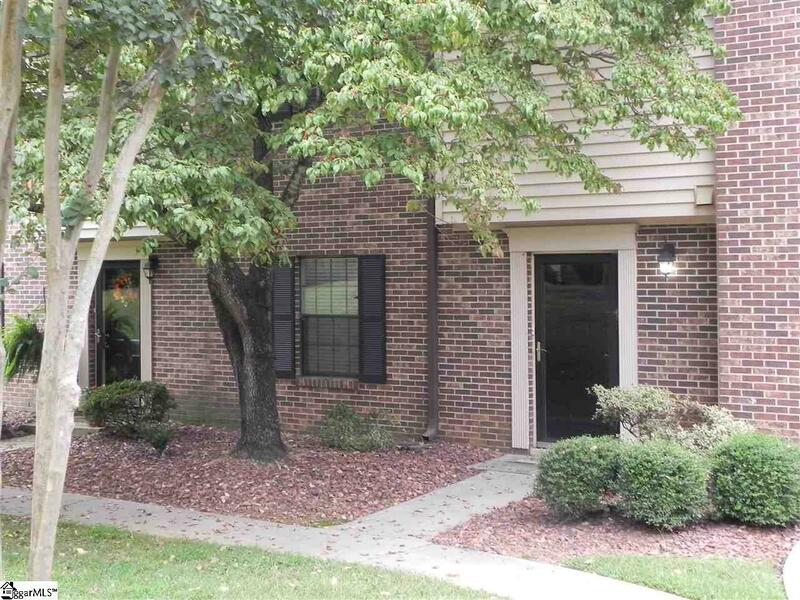 Convenient to Wade Hampton, shopping, schools, and approximately 10 minutes to Beautiful downtown Greenville. HOA also covers interior water usage. 1 YEAR HOME WARRANTY THRU First American COMES WITH THIS LISTING @ A COST OF $530. BASIC PLAN, ANY UPGRADES TO WARRANTY TO BE PAID BY BUYER.